Power, we all use it, we all need it, and we all have issues with it at some point! Either we consume too much power, or it is not the "right" power. It may not be "clean" power, or as in some recent emergency conditions, we experienced, Houston power outages, for days and even weeks in many cases. At Highlights Electrical, we have a complete inventory of products and services available to our customers, whatever their power need or circumstance dictates. Call us at 713-266-6464 for exceptional service! Energy Management Systems (EMS) like the Odyssey Total Control System, to emergency back-up power systems like Generators, Uninterrupted Power Supplies, and Capacitor Banks, Highlights Electrical has what you require. 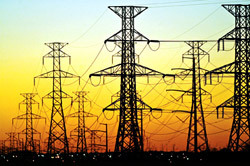 Perhaps you suspect, or are experiencing a menacing, and potentially damaging issue with "power quality issues" (under or over-voltage, electrical surges or electrical sags) where an integrated Surge Suppression System might be required to protect your sensitive electronic equipment, and to keep your facility up and running at full speed. Whatever the electrical challenge or problem, the professionals at Highlights Electrical can answer your questions and concerns, and have what you and your business needs to solve these problems. With decades of experience in our industry and licensed personnel to depend on, Highlights Electrical at one time or another has seen it all, and has satisfied the needs of customers throughout the Greater Houston Area! Our Staff of Electrical Professionals are available for consultation each and every day. We have the knowledge and equipment to diagnose and repair even the most complicated electrical service issues. Please contact one of our friendly and helpful staff today…It would be our honor to be of service to you and to your business or facility. 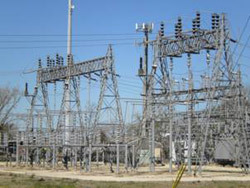 Call us today at 713-266-6464 for problems related to Houston power outages and other issues. Highlights Electrical has been in business since 1986. We are a Houston based commercial electrical contracting, construction, and lighting services company. We have built our company on a reputation of honesty, professionalism, and personal integrity. Highlights Electrical is a leading Houston electrical contracting company, conveniently located on Pinemont Drive, just minutes from the Northwest Freeway. Call us today at 713-266-6464 for questions or a project quote.